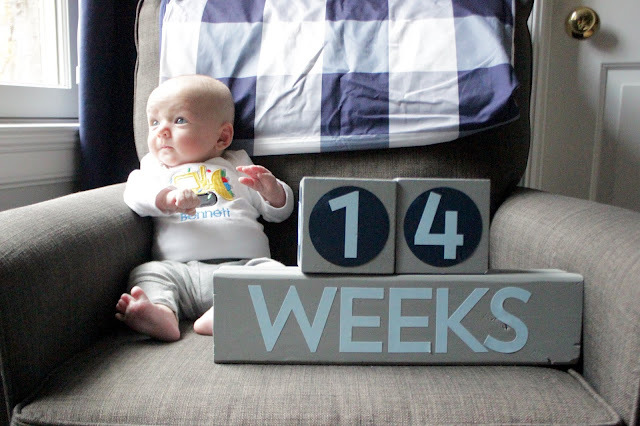 We've had a super low-key week after the first part of Bennett's 14th week, when we were in the mountains! ...and fighting over using the magic wand my in-laws sent to turn the Christmas lights off and on!!! Please excuse our scrawny Christmas tree! !